A woman makes her funeral arrangements, and six hours later is found in her home, murdered. Daniel Hawthorne, a brilliant but enigmatic former detective, is asked to take on this strange case by the police department who fired him in disgrace years earlier. The mystery writer Anthony Horowitz becomes the Watson to Hawthorne's Holmes, simultaneously documenting the case for a future book while becoming inextricably bound with the suspects. Horowitz (the real one) creates an alter ego who doesn't realize he might be closer to the killer than he knows. 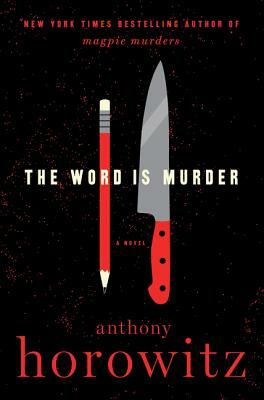 This is a well-crafted mystery with enough layers to keep even the most observant reader guessing!